Sign in to take advantage of all SEE REAL ESTATE has to offer. Save your favorite listings and searches – also receive email updates when listings you like come on the market for free! Shelby County Homestead on a surprisingly SECLUDED 15 surveyed ACRES. Shelbina, Missouri This property is within 30 minutes of Mark Twain Lake, PRIVATE and yet, right off of Hwy. 36 for ease of access. YOUR NEW Home is 1300+ sq. ft. on a full basement, boasting strong period woodwork which has been beautifully refinished. In the past 20 years, the home has had the rooms rearranged for a wonderful flow. The entire home has been RE-PLUMBED, Electric Service upgraded to 200 amps. and a 1000 septic tank was installed in 2012. 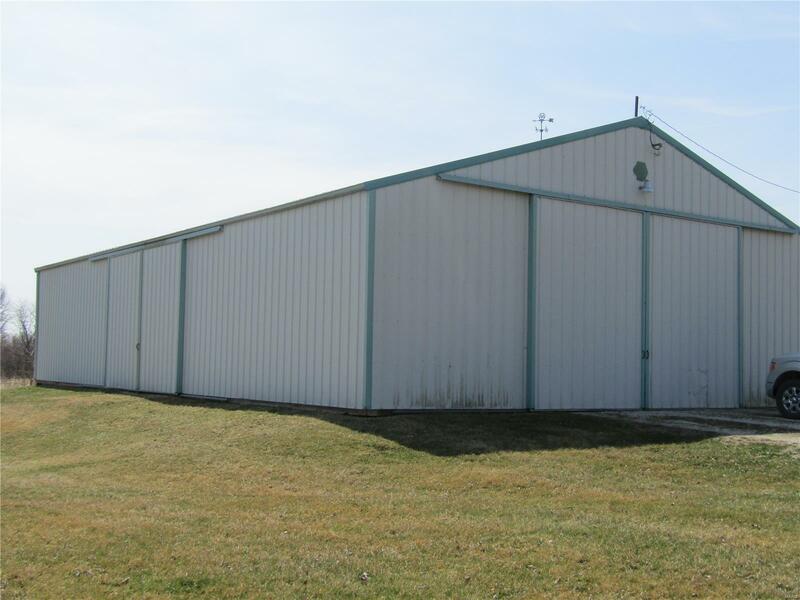 OUTBUILDINGS the EXTRAS, 45' x 72' Morton Building, 60' x 24' Concrete Block Building, 30' x 36' Barn with 12' lean to(s) on each side. Major BONUS, the supplies for a freshly vinyl sided home come with the property! 15 ACRES with Armstrong, Leonard, Mexico and Putnam soils...self sufficient gardening HUNT? Do it from your back yard!!! Just enough trees for the wildlife to spend time in YOUR YARD! Many Shelby County deer await your plate! Copyright 2019, Mid America Regional Information Systems, Inc.(MARIS). All rights reserved. See Real Estate does not display the entire IDX database of Mid America Regional Information Systems, Inc. (MARIS MLS) on this web site. Property listings of some REALTOR® brokerage firms have been excluded. Listings displaying the MARIS logo are courtesy of the participants of Mid America Regional Information Systems Internet Data Exchange. Information provided deemed to be reliable but is not guaranteed to be accurate. Buyers are advised to verify all facts before making a decision on purchasing a property. No warranties, expressed or implied, are provided for the data herein, or for their use or interpretation by the user. Mid America Regional information Systems, Inc. (MARIS) will not be held responsibility for the content of such records. Last Updated On: 2019-04-24.